This presenter gave students a sample of text from a Harry Potter book and encouraged students to paint directly on top to express their associations with the text. First, I’d like to brag on my students a little bit. The last two classes have been presentation days for their art-integrated lesson plans that they’ve been working on since the middle of the semester and they did a wonderful job! It was fantastic getting to see them performing what we had been practicing and connecting and sharing with each other. This was also the first time I attempted the ‘three-ring circus’ method and I thought it was a big success! Allow me to explain. I have 29 students total which meant 15 presentations each day. How do you fit 15 lesson plan presentations into 110 minutes? Fifteen 7-minute presentations? NOPE! I divided the room into three parts with display boards and had five rounds of three simultaneous 15-20 minute presentations, each to a third of the class! The students LOVED it! Many of them shared in their feedback how much they enjoyed seeing several shorter presentations and commented about how interesting it was to see several different approaches throughout the day. It’s definitely messier than your typical whole class one-after-another presentation format but those can be sooooo boring! I like the extra mess. It gives the presentations a little more edge since they have to adapt to distractions like not being the only one talking in the room. But do these simulations translate to the future classroom? It’s important to breakdown complex tasks like teaching into chunks to be practiced. You have to practice the hard parts in order to improve. What are the hard parts they practice through a lesson planning process? Aligning ends with means. Curriculum design. Intentionality. Goal-setting. How do these parts relate to creativity? It’s something I need to think about. To be able to grow as teachers, we need to have the knowledge and skills necessary to reflect, evaluate, and improve. For that, I believe one needs critical thinking and an awareness of possibility. To that end, I wonder if I’m really enabling my students to be critical of their performance so that they can improve. I will know a little bit more after I read their reflections. Already though, in the future I would like to try having them record themselves so that they have something to critique after they present. But how helpful would it be for them to record themselves presenting in an undergrad class? The reality is that college students make TOO IDEAL an audience for practicing teachers. They don’t misbehave. They do as they’re asked. They tend to be pretty nice and leave almost entirely positive comments. This isn’t a bad thing, but it does make their presentations fairly painless and unrealistic when compared to the typical classroom. It would be wonderful if I could get a panel of classroom teachers to critique them, but that seems a little unrealistic as well. So does getting them access to groups of children as student guinea pigs. The next best thing may be if they are in small groups reviewing each other’s videos. They tend to rise to the occasion when performing for their peers and might take greater critical license if I encourage them to offer constructive comments for each other. In my opinion, one of the best ways to ensure that an assignment is completed without grades is to tell them that they’ll be presenting or sharing with each other. In addition, they’ll have to record their K-12 teaching for their EdTPA portfolios in the future. For now, I believe a video would give them an opportunity to think about the way they structure their lessons even if it has minimal benefits for their class management. I’ve provided them feedback on two drafts and am waiting on their third and final drafts so my hindsight is 20/20. I expected things that I had no right to expect. Objective writing was something I commented on almost across the board. Over and over it was: How do you make learning visible? Be clear and specific. “Learn” and “know” don’t mean anything. How do you want them to show what they know? But they didn’t necessarily have access to those words on their own because we hadn’t gone over them. Big Ideas or Essential Questions was another area that I commented on across the board. We had talked briefly about Big Ideas in class and they should be familiar with essential questions (“should” - one of the most dangerous words in the English language). Both provide the focus or theme of the lesson. In retrospect, I had not provided them with lists or sources for these explicitly. Nor had I thought ahead to consider finding resources for Big Ideas across subjects for them to combine. Now I have lists of Big Ideas from science, literature, math, social studies and other subjects. They should have had these resources from the beginning. Their research sections also generally needed a lot of work. A comment I wrote over and over again was that there are many ways to learn something and that they needed to justify why their way is a good way. I shared with them that EdTPA evaluators would be looking for very strong theory sections. But again, this was a defect on my part. They didn’t have access to those resources, like this incredible resource which lists a number of learning theories and their various proponents. I was so focused on creativity this semester that I ignored the basic building blocks they needed to help them develop their lesson plans. I didn’t want the class to be about lesson planning. I just wanted the lesson planning to be a part of the course. That was a mistake. I should have focused them more on building the strong structure upon which they could feel secure in taking risks and practicing creativity. Instead I’m afraid my approach was disjointed. Have I told you that I like to practice juggling in my spare time? It’s true. Each day I seem to drop the ball a little less. This gives me hope. One day, I hope, to not drop the ball. Obviously, based on the above, I have a ways to go. In a lot of ways, I wanted to see where they were and what they could do on their own, but I know now that without the guiding resources above to scaffold them, they will instead depend on materials found online and rely too heavily on my suggestions. Some, I could tell, were pre-packaged internet fare. I imagine I’m a master chef, teaching future chefs, but instead of providing them with gourmet ingredients with which to work, I have left them to their own devices and some have had to do with whatever they could find - junk food from the internet or low-hanging fruit of my own advice. How do I know that some of them relied on my advice? Because there were at least three presentations that were essentially the same. I don’t want that to happen again. I gave them suggestions at our midpoint meetings for ways they could address their creative goals with various art exercises. Maybe next time I need to keep my mouth shut. Instead, I feel like if I had shown them these building blocks that they could have constructed the lessons that demonstrated more ownership. With those resources I mentioned, they would have shared points of reference from which to critique each other more constructively. With videos of their teaching, they would have had objective evidence to review beyond their own experience and if they had been able to review this with each other they would hold each other accountable. Additionally, one thing I had done in the past was try to purposely misinterpret or find obstacles with the lesson in order to show presenters where their students might struggle. Most people tend to approach their plans optimistically, assuming success rather than failure, so most of us miss the built in problems. Knowing in advance that someone might be trying to ‘break’ their lesson could keep them on their toes and make them aware of their blind spots. 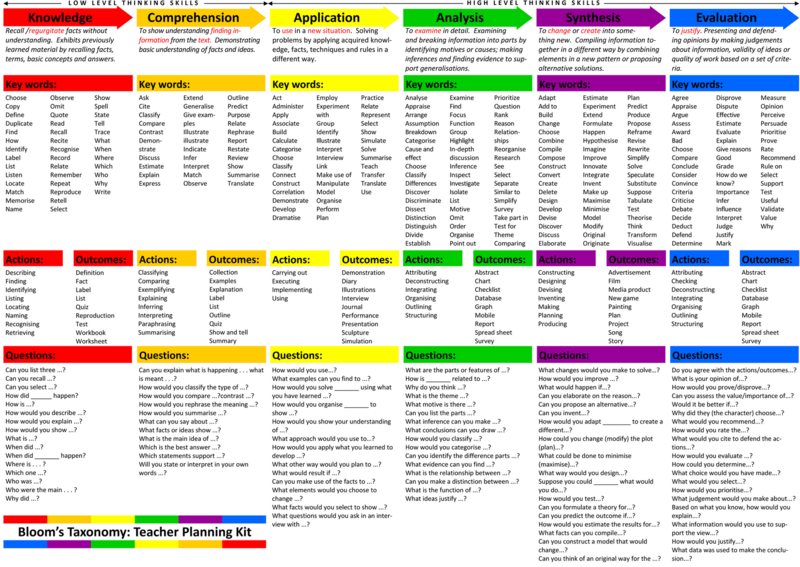 These are all ways that I might try to enhance the critical thinking involved in their lesson planning in the future. Yes, this is JUST a two credit course I’m teaching through the Art Education Department in the College of Arts & Sciences. Yes, I’m supposed to be focusing on art-integration. No, it’s not technically my job to show them how to write a lesson plan. Yes, they’ll probably have plenty more opportunities in their education classes in the College of Education to improve their planning. Do I trust that? Should I? Lesson planning. How does one teach lesson planning without making the class ABOUT lesson planning? Does lesson planning reveal a teacher’s thinking or is lesson planning an obstacle to authentic teaching? Reviewing lesson plans can be a real slog sometimes. They aren’t exactly fun to read or light reading. Should they be? As any good teacher in a teacher preparation program, I have logged countless hours reading the lesson plans of students training to become teachers. And like anyone neck-deep in student plans, I find myself asking: Is there a point? I think there is, but this is question that makes me “wobble” every semester. Shouldn’t they just be out there, being mentored by teachers out in the field from day 1? Lesson planning is the crux of any teacher preparation program it seems. Mastering lesson planning is a skill not only required by most programs, but defacto mandated by high-stakes teacher evaluation programs such as EdTPA. For a student’s EdTPA portfolio they must complete three essential tasks: plan a lesson, video themselves teaching the lesson, and reflection. So there are very real incentives for prospective teachers to ‘get good’ at lesson planning if they’d like to obtain certification. Once employed, many if not most teachers will be required to submit lesson plans to their administrators or at least to make them available for the possible pop-in of an administrator there to observe your class. The lesson planning that most students practice in preparation programs is different than that required by most school administrators. For expedience, administrators tend to ask for very simplified plans, sometimes requiring the teacher to show little more what objectives their students are working towards, what standards those objectives are meeting, and perhaps an overarching essential question. Teachers are told to have many things available and prominently displayed JUST IN CASE. When I was new teacher, struggling just to stay a day (if that!) ahead of my students most of the time, the requirement to submit lesson plans of any sort beforehand felt like a tremendous burden! No one seemed to read them. Rather, they seemed to fall into a bureaucratic black hole of busy work. Many of my early plans were built with bulleted lists on Post-It notes and scraps of paper. My attendance books and my logs were always up-to-date and correct - you don’t really have a choice when seeing 150 middle schoolers a day. But for your average art teacher, who probably teaches several different classes a day with several different age groups - the demands of lesson plans was one task too much. It’s tedious and another example of the autonomy that is forbidden teachers today. It is difficult to imagine any scenario where a principal would be called upon to tell someone exactly what standard is being taught in a given classroom on a given day or time. It became my tiny rebellion to resist the mandate to submit copies of my plans. Over the course of three years, three principals, and two schools, I barely turned in any. Occasional and sporadic requests were deflected with an ‘Oh, right! I’ll get right on that!’ The lack of interest in the art curriculum by the higher ups can be a double-edged sword. Eventually, I succumbed - but even then I make no guarantees as to the accuracy of those plans. I was trained to create lesson plans as an undergraduate. Everything was so overwhelming at first - I didn’t know where to begin. Now I think I can write a pretty good one. I enjoy curriculum design a great deal. It’s possible that my plans are just okay. Maybe I’m like the cocky athlete that never quite mastered the fundamentals. I look at the template I give my students. Do I start class with a launch? Something provocative to engage their curiosity or confuse them? Admittedly, not as much as I should. Often, we just start with announcements. Do I end class with closure? If you’ve been reading, then you know I run out of time regularly. Sometimes I feel like being a teacher teacher is like being a basketball coach, except you’re in the game and expected to play better than the players. I feel like when I don’t demonstrate best practices that I’m not practicing what I preach and that I’m modeling bad behavior for my teachers that they’ll replicate. Then again, I’m not really aware of evidence that says the traditional launch, instruction, application, and closure combo is ideal for learning. There is another part of me that wonders if traditional lesson planning hasn’t held me back in some way. Possibly made me more conservative as a teacher. As I mentioned, the Task Party our first day of class this semester was a huge success but required no formal lesson plan. It was merely a material with a prompt and time to work and reflect. Space, constrained materials, and choices. I’ve only realized recently the incredible power of temporary, process-based, community-driven artmaking constrained by limited materials (though I’ve been flirting with things like choice-based art for years). When I’ve witnessed student-teachers struggling with a class that was flagrantly disengaged, trudging painfully slowly ahead with their detailed and highly-structured plan, I know they are fighting a losing battle. Why not just give the students a material, give them a challenge, and turn their imaginations loose? Would it be any worse? Would the student-teacher be any unhappier? Would they be ‘learning’ less? The lesson plan only grants an illusion of control in some cases. The more complicated the plan, however, the more ways it can fail, I tell them. This is more a reminder for me to keep my own ambitions in check. Even with a task party, I could still probably throw a dart at a list of the visual art standards and hit something that might apply to the learning at hand. Like I’ve told my students, if you’re doing anything right at all, you’re probably hitting several standards. It’s not that I’m against standards-based assessment but I share some of Alfie Kohn’s skepticism towards them. In many cases they are arbitrary. As standards are practiced, it’s lowest common denominator teaching. What is the alternative - no standards? Who the hell teaches without any standards? When do standards mean something? I will probably write more on standards in a future post. When I talk to colleagues about teaching lesson planning, I tend to agree with them. We feel like the extensive lesson plans students are asked to prepare in college help them identify and practice the many working parts of a teacher’s plan. While they won’t be asked to create comprehensive plans in their careers, knowing the basic structure of a lesson plan will ultimately improve their future teaching. Will it? Am I deluding myself into accepting a banking model of education? I push back against that when I see this view in their plans...I really hate the banking model. Next semester I’m going to center lesson planning more throughout the course. One of my main arguments is that, in order to increase the likelihood that classroom teachers will integrate art into their future teaching, they need to have a lesson plan of their own design ready to go. They need to have created and used a lesson plan integrating art in the past. It seems logical and fair that, one tangible product of our process-based course should be a fully-functional lesson involving art.